Design for Good is a campaign developed by the AIGA to demonstrate how designers can use their voice for change or the greater good. Today I am posting a thoughtful example of a student project from Graphic Design 2 which I feel captured the purpose of the design brief. 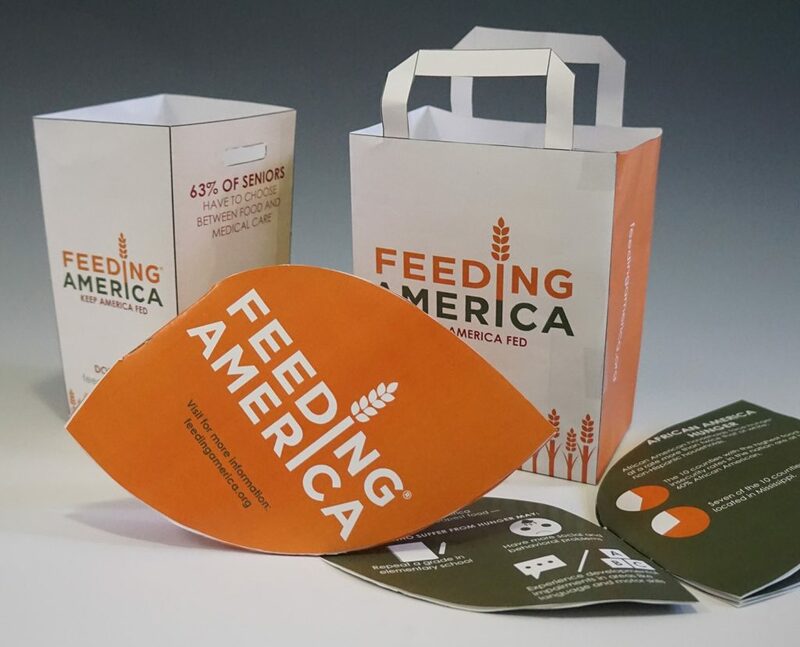 The incredibly talented Laura chose to support Feeding America. Rather than creating a whole lot of “fluff” with no real purpose, she designed pieces that could help the organization gather food for in the community. The image above shows maquettes created for the critique (they were very well received by the entire class). 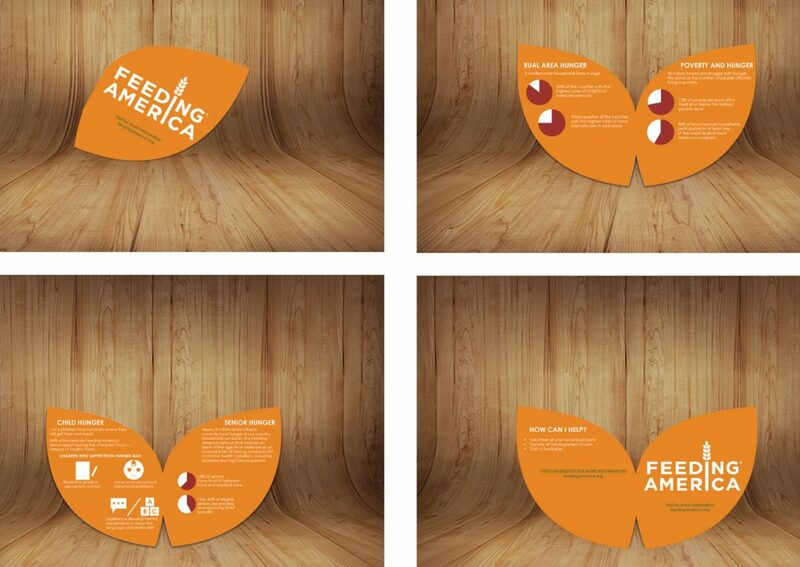 The design on the left is meant to be a donation box so people wishing to help feed the hungry can deposit food items. The bag to the right can also be filled with smaller amounts of food. This is design with a purpose. A question often asked of my students is how do you make pieces that matter? How do you stop the recipient from tossing the things you created into the trash bin? Quick answer, you can give designs a purpose and you can make them beautiful. Too often designers just want to create pretty things with no set purpose. Remember, always ask yourself what the client does and which design pieces best help them to achieve that task. 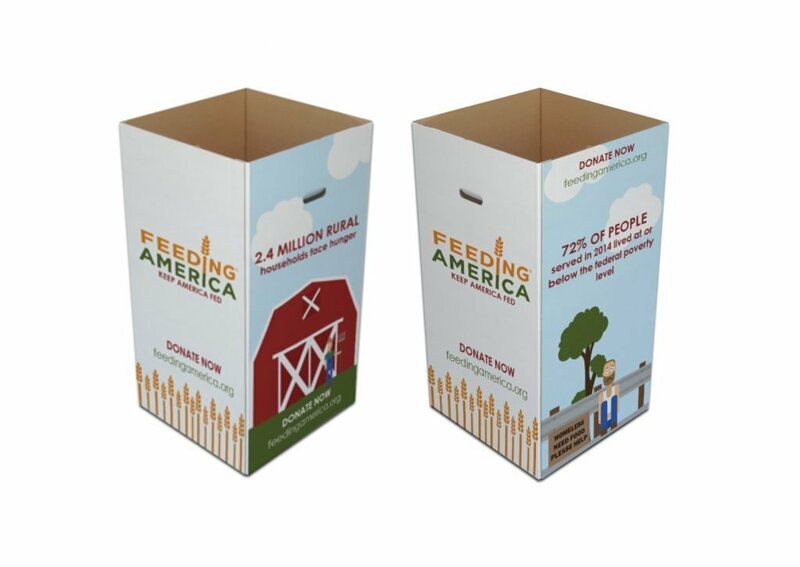 Laura researched the statistics on those who are food insecure and created illustrations to accompany boxes for different demographics/communities. Note the call to action on the donation box: Donate Now. 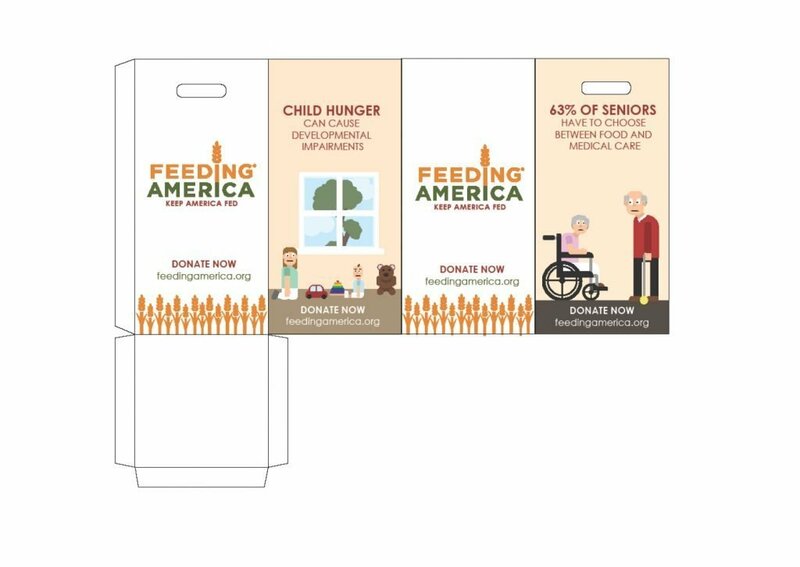 Above demonstrates how her designs could be used on box trucks and the image below is a detail of a brochure or flyer that explains who is and how the community is being helped. Each piece is so thoughtful. 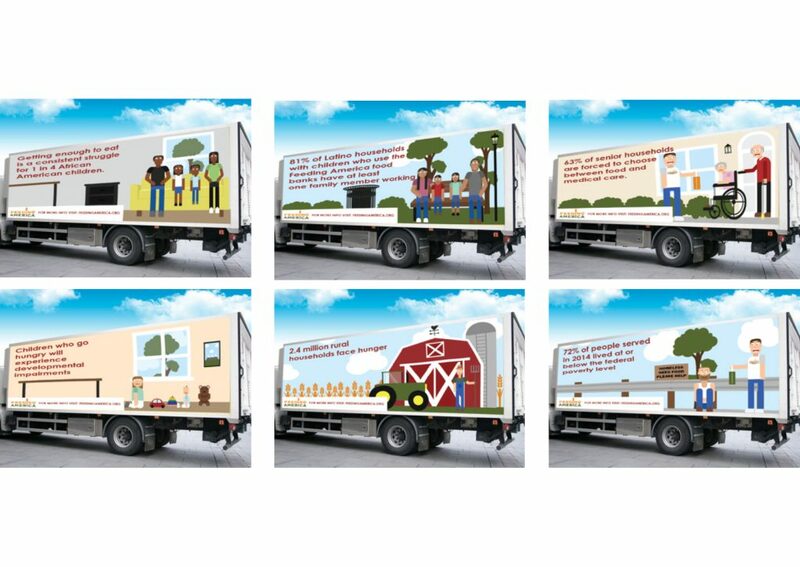 The entire campaign demonstrates how Laura thought critically with regards to each concept. Laura also stayed true to the company branding. Great job.